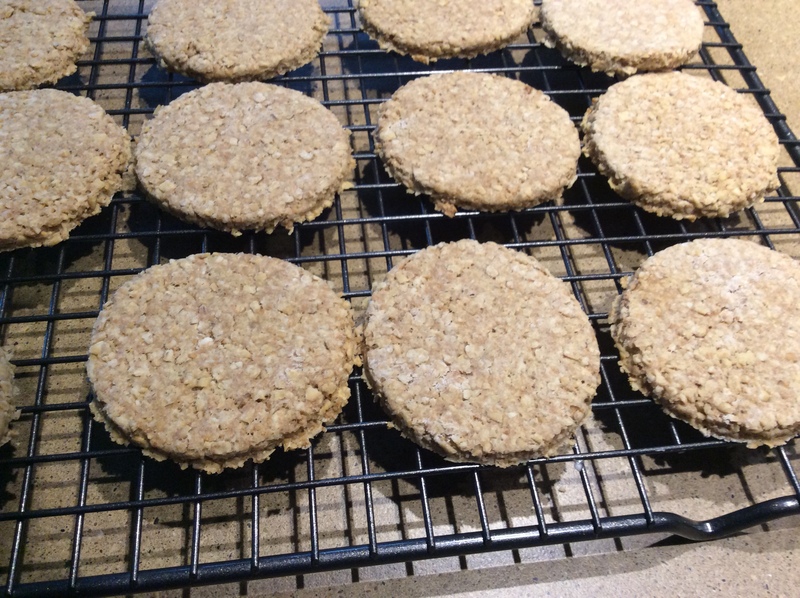 I bought a small bag of scottish oatcakes last week and they were wonderful (and expensive) so i thought maybe I could recreate them. I took some liberties here but these are great with tea. You can put jam on them or make them savory with cheese or smoked salmon. I tweaked it a bit to make it slightly sweeter for my husband. If you want them more traditional reduce the sugar to 2 tsps. I doubled the recipe. You can also sprinkle them with a bit of sugar or fine sanding sugar is you want. This is tweaked from a Bob’s red Mill recipe. Place all but 2 tablespoons of the Oatmeal in a bowl with flour, sugar, salt and baking powder; stir until combined. Add butter and stir until evenly distributed. With a fork, mix in water, just until moistened. If dough is too moist add a little extra flour. Pat dough into a ball, and then flatten slightly. Sprinkle reserved 2 tablespoons oats on a board. Roll dough out 1/4 inch thick. 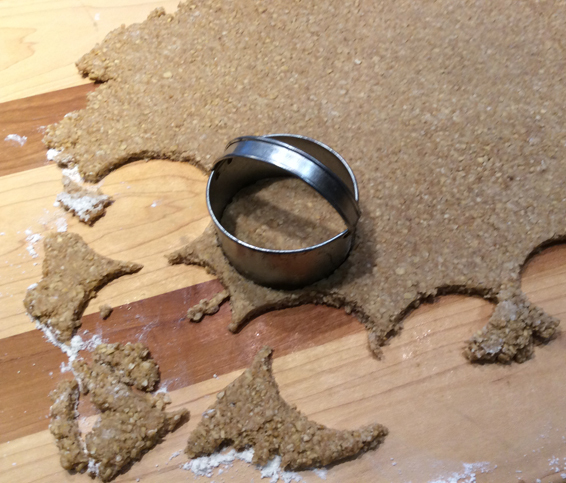 With a 2 to 3 inch round cutter, cut dough into rounds. Re-roll and cut scraps. 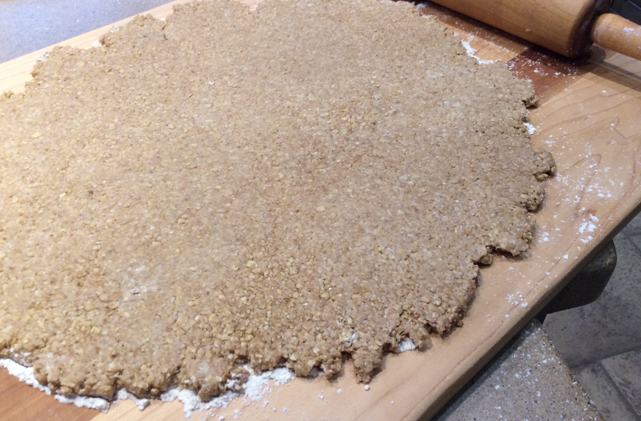 Place oatcakes about 1/4 inch apart on a greased baking sheet. 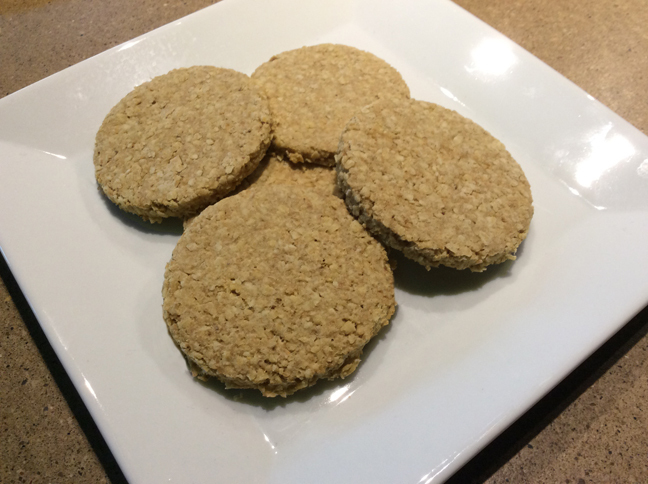 Bake until Scottish Oatcakes are golden, approximately 25-30 minutes. Let cool on a rack. Enjoy plain, serve with jam or cheese, or use them to build hors d’oeuvres.